After shooting Cbad Cars at the Carlsbad Premium Outlets this morning, for the post-SEMA Bash event, I headed over to ‘Vettes for Veterans. 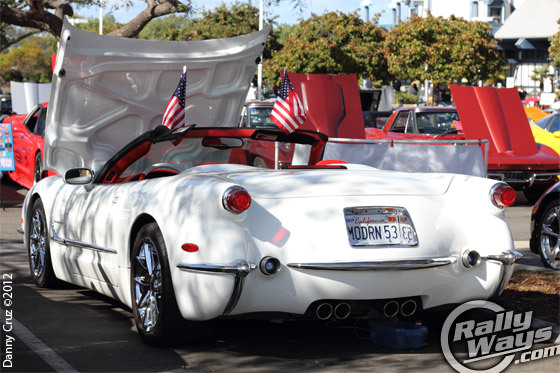 It’s the first annual event for all Corvette enthusiasts and especially dedicated to US armed forces veterans. 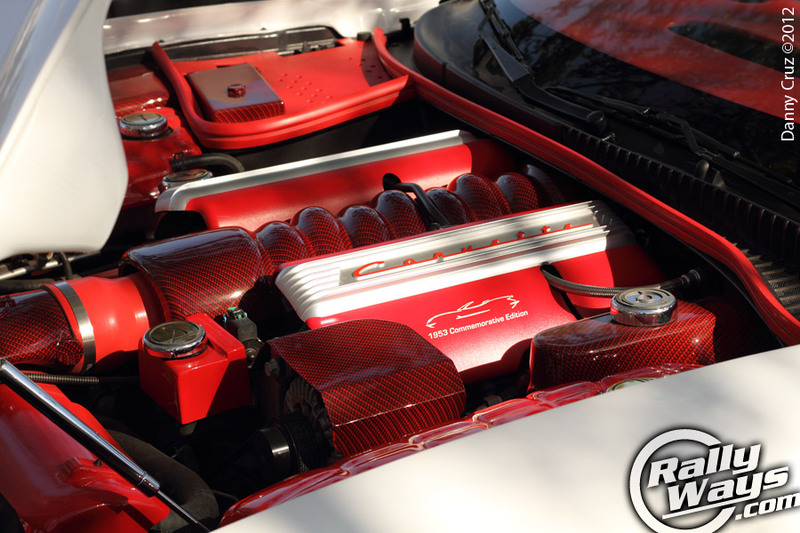 Stunning piece of work this amazing custom-built ’58 Z06. 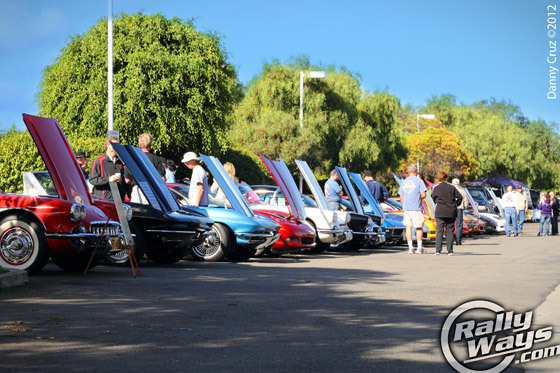 The show was conveniently located at the TGI Fridays parking lot across the street from the Carlsbad Outlets. It was just a matter of crossing over from the Cbad Cars meet to go shoot some ‘Vette pics. The huge array of Corvettes was pretty awesome. 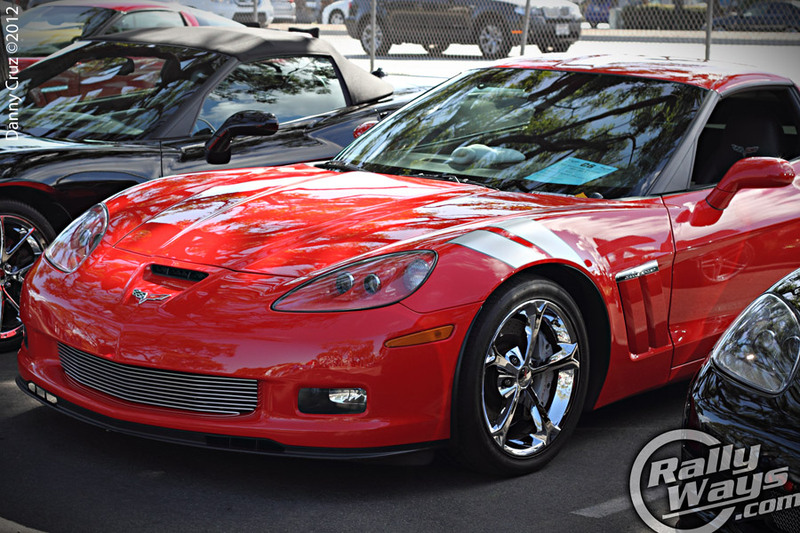 I was very impressed with the line of “Every Corvette Generation” hosted by TGI Fridays. They basically parked 1 of each generation car right in front of the restaurant – A great way to see the evolution of the Corvette since the beginning. There were very rare Corvettes attendances. Some limited models I’ve never even seen before. An orange C1 1958 custom built over a C5 Z06 underbody was particularly interesting. The thing looked like it was originally designed like that. 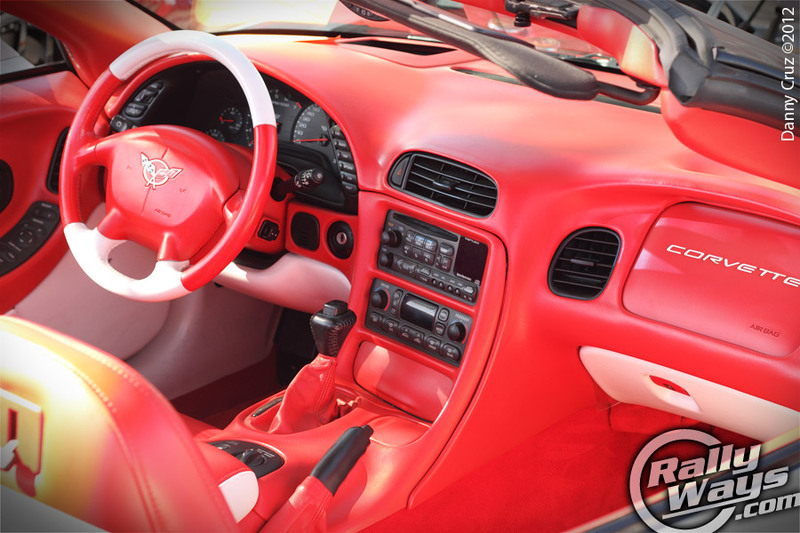 The most impressive thing was how the cockpit incorporated the classic generation 1 Corvette seating with the front dash of a C5 Z06 Corvette. Stunning. There was a black C5 that reminded me of Stacey David’s Ol’ Smoke Armor All Corvette C6. It had the amazing turbo-back forced induction system and even the flames coming out of the side vents. Of course, the car was black, not orange… and it was a C5, not a C6… and it had flames coming out of the vents, not smoke – but you get the picture. Very cool car. I love the underside mirrors put for the show to help spectators see what’s going on under there. I met some great folks at the show. Looks like there are some very dedicated people organizing this event and the future looks very bright for the coming follow-up shows, hopefully every year. Special thanks to Carol from from the North Coast Vettes club and Scott for the warm welcome. Hope to see you soon. The show is not even over as this article is being publish. 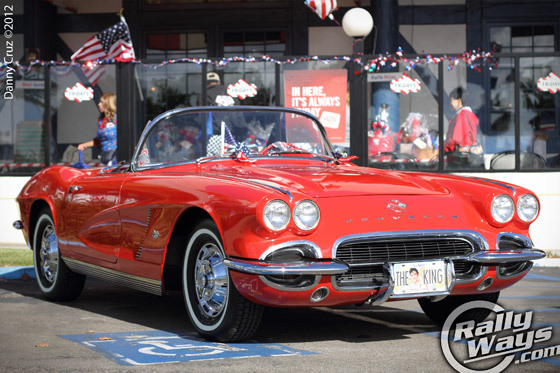 It’s the very first post-show Vettes for Veterans article on the web. I could go on all day, but I’ll let you get on to look at the pictures at the bottom. If you are part of one of Corvette clubs or are involved with Vettes for Veterans in any way, please link to this article from your site to help get the word out of this awesome Corvette show. Impressive turnout at Vettes for Veterans. And this is only a small bit of the whole show. No lack of flames for this hot turbo-back Corvette C5. Amazingly pristine generation 1 Chevrolet Corvette. 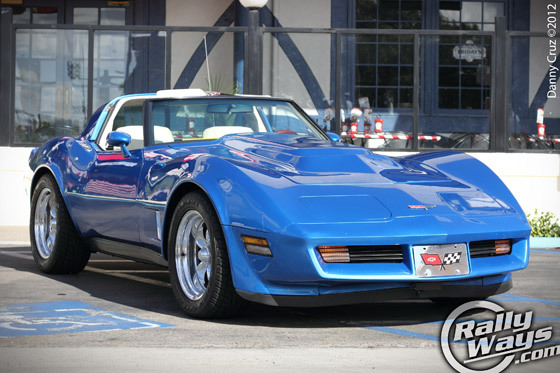 An all-time favorite among many Corvette enthusiasts – C3 Corvette. 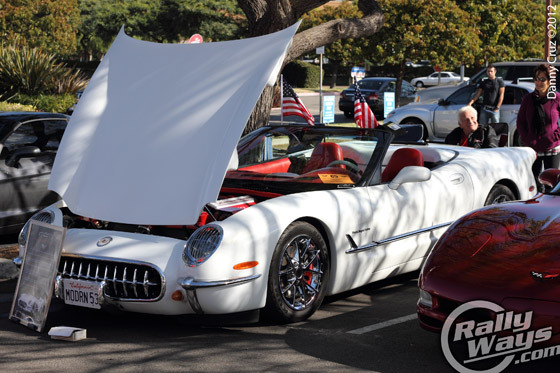 Modern representation at Vettes for Veterans – Grand Sport C6 Corvette Coupe. The extremely rare 1953 Commemorative Edition Corvette built in 2003. Red and white. Reminiscent of the only option available in ’53 – white body, red interior. 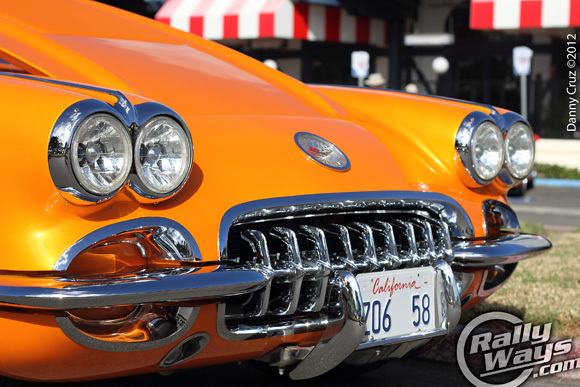 This 1953 Commemorative Edition Corvette is with its 3rd owner. Don’t forget to subscribe to RallyWays with your email address below. You won’t want to miss future stories.